A series of four customized decoration options that celebrate freedom. 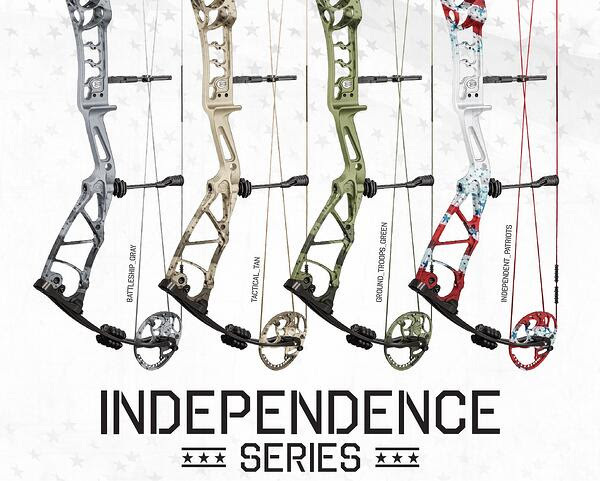 We call it the Independence Series. These custom designs are inspired by America and her armed forces. Choose from Battleship Gray, Tactical Tan, Ground Troops Green, or Independent Patriots. Available only on the Elite Echelon series of bows. Due to our high quality standards and the custom nature of these products, please plan on 4 – 6 weeks for delivery.